Departure from Agadir at 8:00 towards the plain of Souss; large orange grove of the region. 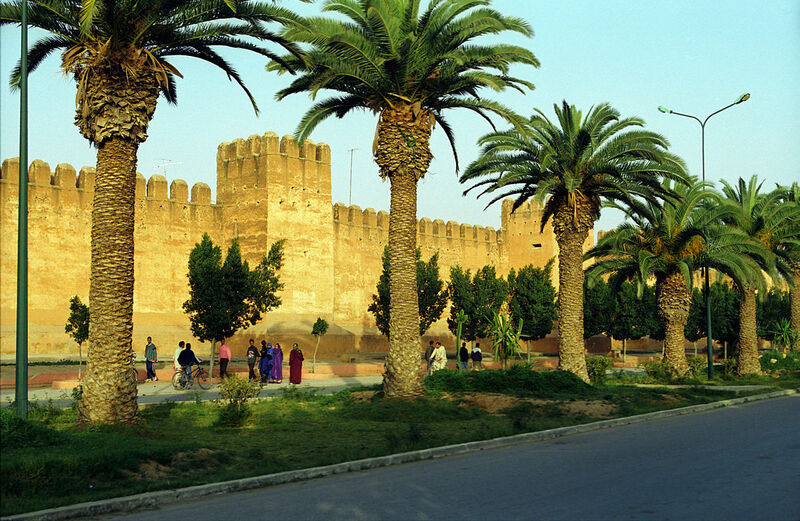 After a good hour's drive, we arrive in Taroudant, often called '' little Marrakech ''; short visit to the Salam Palace (former palace of the pasha), the medina, the souk, and the big place of Assarag. We continue our way to the High Atlas .... there Berber villages are perceived a little by all in the mountains, oases of olive trees ... spectacular landscapes. We arrive at the top of tizi-N-test, Altitude of 2100 m; splendid panoramic view. Lunch in a pleasant room (optional) or simply drink a mint tea .... continue in continuation towards the villages Ijoukak, ouirgane, Asni ....... to arrive, and to visit the old mosque of Tinmel; (historical heritage built by Sultan Abdel Moumen). After the visit we continue to Marrakech. There we arrive at our Hotel or Riad at the end of the day. After resting a moment in the hotel; an outing to admire the folk entertainment at Jamaa el Fena Square is well recommended. dinner and accommodation at the hotel or Riad. 2nd day: Trip Marrakech - Ouarzazate. After breakfast, visit the historical monuments of Marrakech: the Bahia Palace, the Kotoubia mockery, the Saadian tombs, and the souks. At the beginning of the afternoon, we take the direction of the High Atlas, and this time to go through the highest pass of Morocco '' Tizi-N-Test ''. Today the High Atlas remains one of the land or traditions, and Berber culture have remained particularly vivid ... stops, and photo breaks at will. As soon as we move away from the big cities we are really out of time, simple houses, small douars, kasbahs in kasbahs. 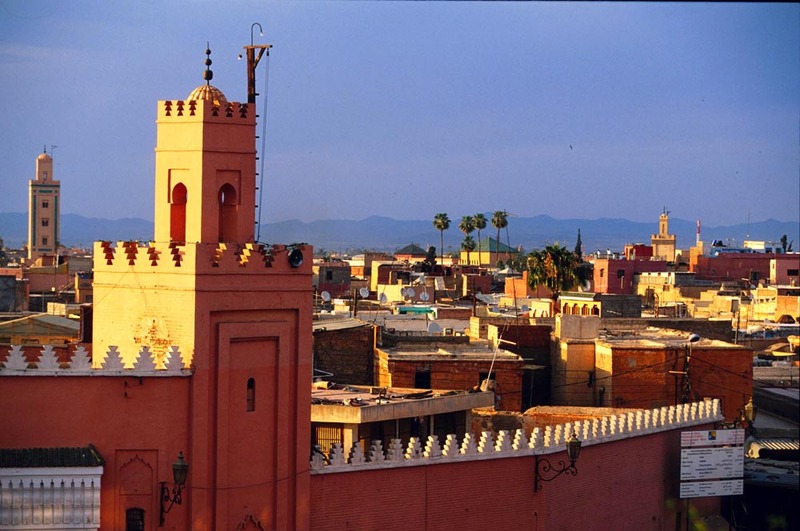 In the late afternoon we arrive at Ouarzazate; return .... dinner and overnight in the hotel or Riad. Day 3: Trip Ouarzazate -Taroudant. After lunch we start the tour of the city by film studios (optional), the kasbah of Taourirt (optional), and the museum of films shot in the area: Gladiator, kingdom of heaven, a hundred thousand dollars in the sun, Babel. ... and many others. to visit afterwards to visit the famous Kasbah Ait Ben Haddou classified World Heritage of Unesco. And it's just after we take the road to Taznakht; small village in the Anti Atlas famous for its woven Berber carpets, and produced in virgin wool with patterns reflecting the culture and fantasy of the Berber woman ... lunch on site (optional), or simply relax to admire the charm of your desert circuit. After this refreshment we continue our way in the Anti Atlas; stops and poses photos at will; and it is after that we go down to the plain of Sous, and then return to your hotel in Agadir. * Half board accommodation in Hotel or Riad (3 or 4 stars) .see availability. * Transport in air-conditioned mini-van type Mercedes vito or similar. * Experienced driver, and perfect geographical knowledge, speaking your language.